As promised, the next GSW will be dedicated to GlassFish v3. Conceded, I am not a fan of GlassFish since the beginning. Our friendship had a difficult start. But let's forget about this for now and focus on things that makes it more easier for beginners to get started without all this. 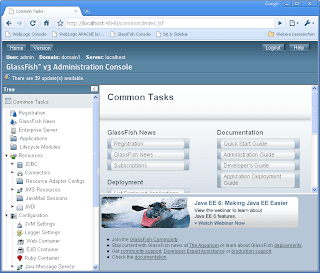 GlassFish v3, is the first compatible implementation of the Java EE 6 platform specification. It is a lightweight, flexible, and open-source application server. And according to the latest statements from Oracle Productmanagement, it will stay open source. You can get your hands dirty if you grab the latest distribution from the GlassFish download page. There are bascially two different distributions available. One full-blown Java EE 6 and the lightweight Java EE 6 Web Profile. They differ in the sum of the contained technologies. For further details, scroll down the download page and look for "What's in GlassFish Open Source Edition 3.0?". The tables gives a detailed overview about the technologies in both versions. Every version can be optained for three different platforms. One for Windows based systems, one for Solaris, Linux and MacOS X and a platform-independent zip archive. 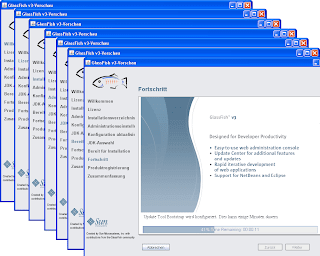 I suggest, you are running a Windows maschine as development platform, so we start over with downloading the self-extracting GUI installer for the complete Java EE 6 GlassFish (48MB, exe). Evevn on a slow line, this should not take more than a couple of minutes. It welcomes you with a nice screen. Click "next". Read and agree to the licence agreement. Click "next". Choose a destination directory. Click "next". Choose a Adminport (default:4848), Http-port (default:8080), Admin-Username (default: admin) and Admin-Password (recommendation: adminadmin). Click "next". If you want automatic updates and you are behind a proxy, enter your proxy information. Click "next". Choose a JDK from the list or tell the installer where to put it's own. Click "next". Now you are ready for the installation. Click "install". Wait for the installer to finish his work. If you like to, register or sign in to your Sun online account. Click "next". Now you can review the installation process. Click "finish". 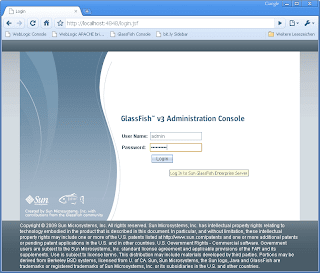 You have sucessfully installed your GlassFish v3 server! congratulations! Open a cmd and cd to %GF_HOME%/glassfish/bin. The next screen you see, is the welcome screen. You start administrating your complete domain from the left treeview. As you would have expected, its an empty domain up to now. 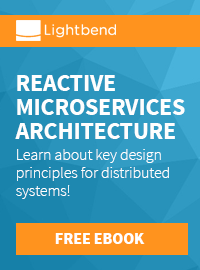 Nothing specific is deployed, and you can start adding your own resource, configuration and deployment settings. Now we are going to develop and deploy a very simple application. All you need for this is maven, and a texteditor. 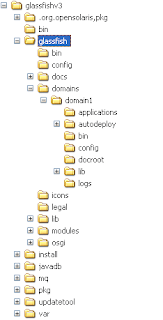 Have a look at my GlassFish v3, CDI, Maven, Eclipse post for details. If you have your war file, go back to the administration console. You have sucessfully deployed your first application to GlassFish v3 server! congratulations!